That’s right! The 2018 Annual Catalogue is now live. You can order from it through my online shop (click on my name for the link) from midday today. To celebrate, I have CASE’d a card from the catalogue using the Rooted in Nature Bundle – adding my own touches. Use the Direct to Paper Technique to add Gorgeous Grape and Highland Heather inks to a piece of Wood Textures Designer Series Paper. Attach to a Blackberry Bliss card base. Stamp leaves on Whisper White with Mint Macaron and Highland Heather inks and cut with matching dies. I used my Stamparatus – see recent post on how I did this with punched images. It works the same way with dies and I will have a video next week to confirm how easy it is. Add a strip of Burlap Ribbon to the card with leaves attached to either side. Stamp sentiment words on Mint Macaron with matching ink. Cut each word out separately and add to a Mint Macaron tag. Punch a hole in the top of the tag and add some Linen Thread. Tie a bow with Very Vanilla Solid Baker’s Twine and attach above sentiment on the tag with Glue Dots. Attach the sentiment over the leaves with Dimensionals. 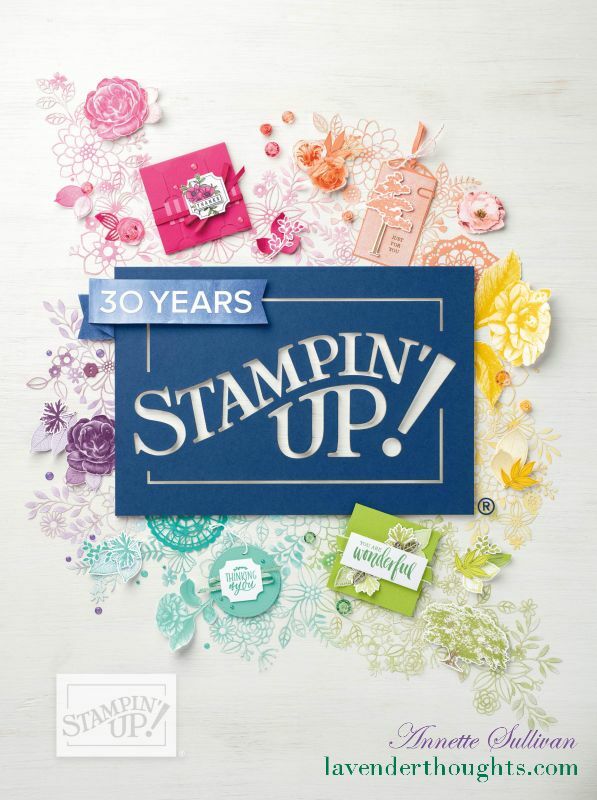 This beautiful stamp set is now available in the new Annual Catalogue. You can download a PDF version here, or contact me if you would like your own copy.